All ways here you see, are the Three of Clubs’ way! This comes via Reddit’s r/crappydesign, the Comic Sans-loving subreddit devoted to horrifying style and engineering choices. 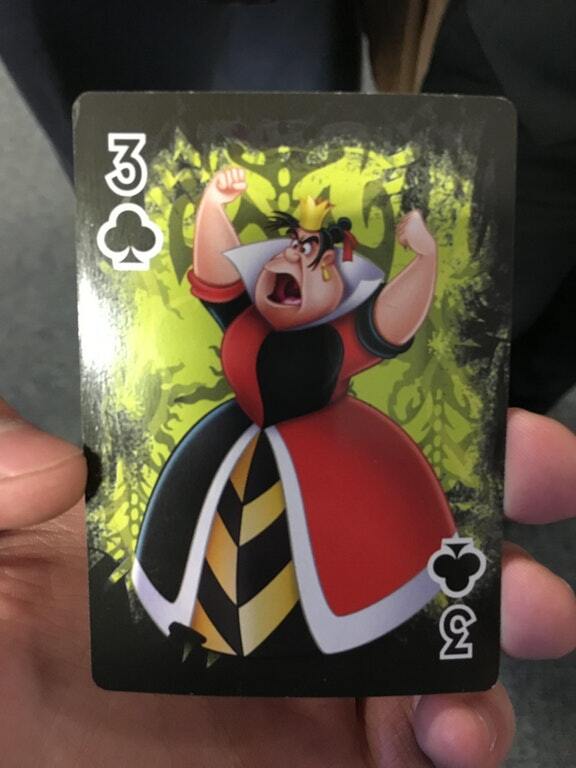 User PingPongPresident found that “in the Disney Villains deck of playing cards, the Queen of Hearts is the three of Clubs.” Just, why? 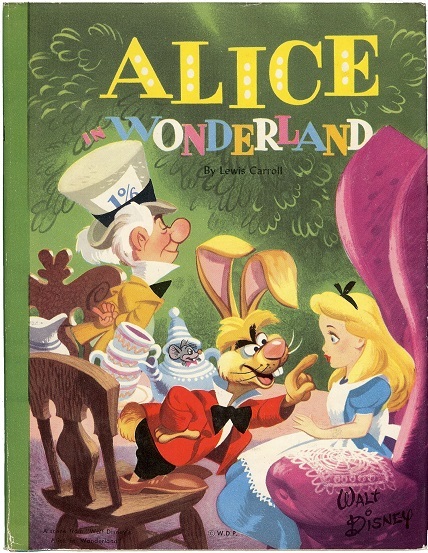 As those of you who are coming to our upcoming Spring meeting are aware, our fellow Carrollian’s exhibition of Disney Alice memorabilia is now on exhibit at Geppi’s Entertainment Museum in Baltimore. 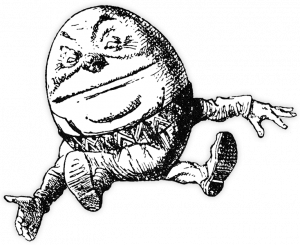 Animation Scoop magazine just posted an online interview on their blog, check it out! 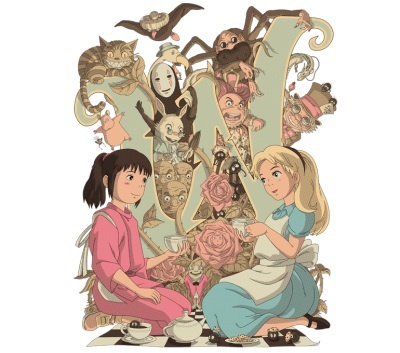 Although the “one day only” shirts posted on April 27 are no longer available, you can shop Alice designs at Teefury by typing “Wonderland” in the search box. Ever wondered about that copy of the 1865 Alice that turned up in an Indian bazaar? This article has some interesting points, and sets a few things straight. I’ll leave it up to the hard-core Carrollians to validate or vilify. Artist Joe Hale has translated Alice into emoji – those cute little emoticons that populate Facebook and mobile phones. And now you can buy a poster of this amazing undertaking. Scottish artist Jilly Henderson is celebrating 150 with a series of prints and other items featuring her Alice-themed art, which can be viewed on her Facebook page and purchased from her Etsy page. So the Alice150 items keep rolling in! 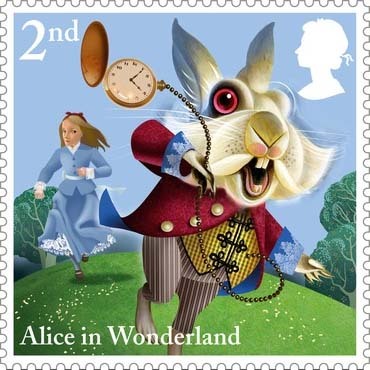 Now the UK has announced a slew of stamps to celebrate the 150th. Well, I guess it is *technically* a British book. Check out all the designs here. Let’s hope the USPS does something similar! Teefury Does it Again – This Time with Shoes! 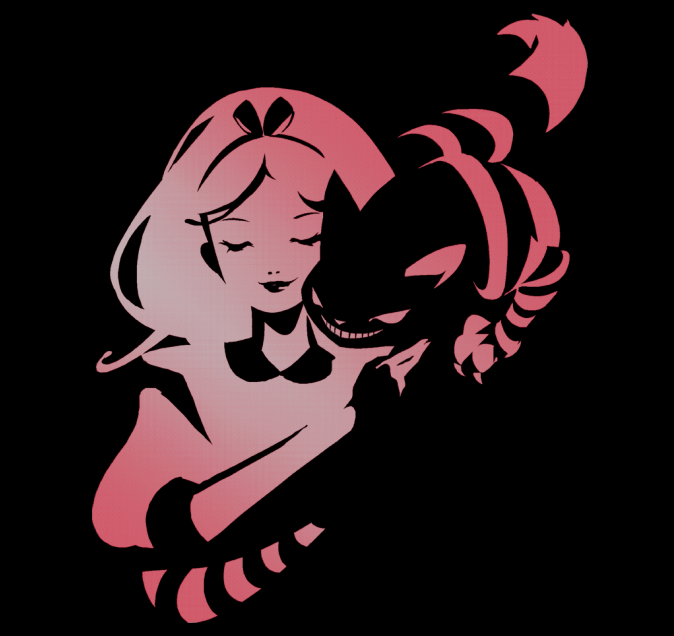 We love Teefury, mostly because they love Alice. And now they have sneakers! With the Cheshire Cat! Grab ’em now!